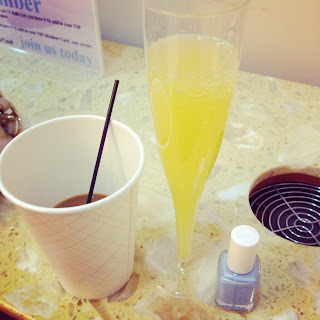 This morning was filled with mani pedi fun! My mother-in-law rented out a nail salon for 2 hours so we'd have the place to ourselves. It was wonderful! The entire bridal party was there, the mother of the bride and groom, and some of Kaitlyn's cousins and aunts too! We had coffee, pastries and bagels (all from Panera), and of course mimosas. Later in the day I did my daughters nails (she wanted purple on her hands, pink on her toes) and decided I needed to break my wedding day shoes in. It was pretty windy out so sorry for my hair all over the place. 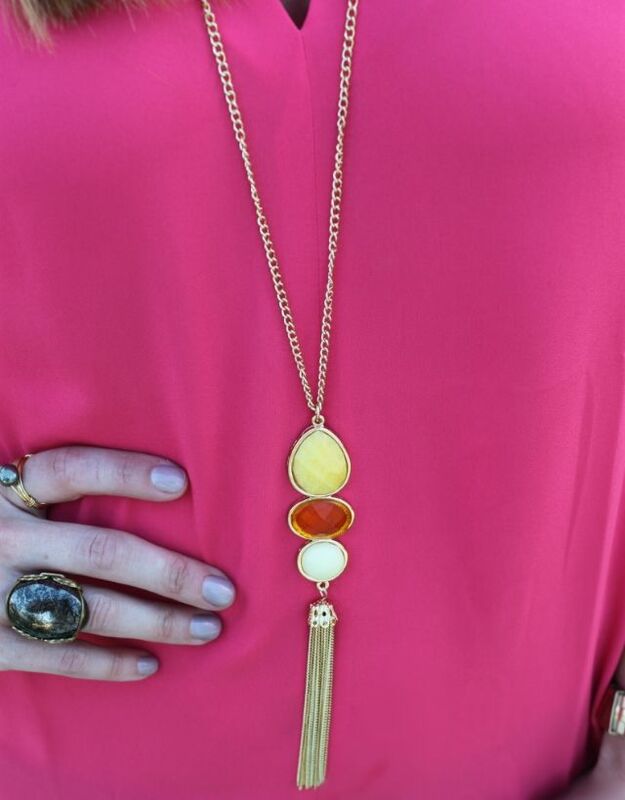 Sometimes a casual look calls for some amazing jewelry! 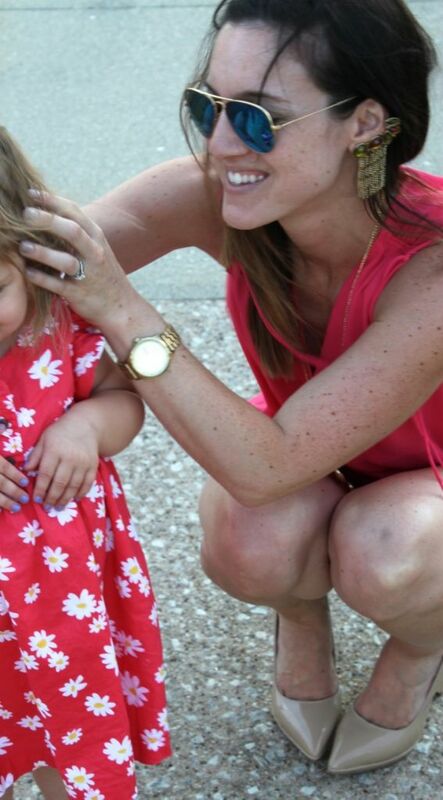 You may remember this ear cuff from a post I did back in February at the VIP Spring Line viewing party. Well, it's finally for sale at House of Gemmes! I was so excited as I did not scoop it up at the spring line party and have been kicking myself ever since. 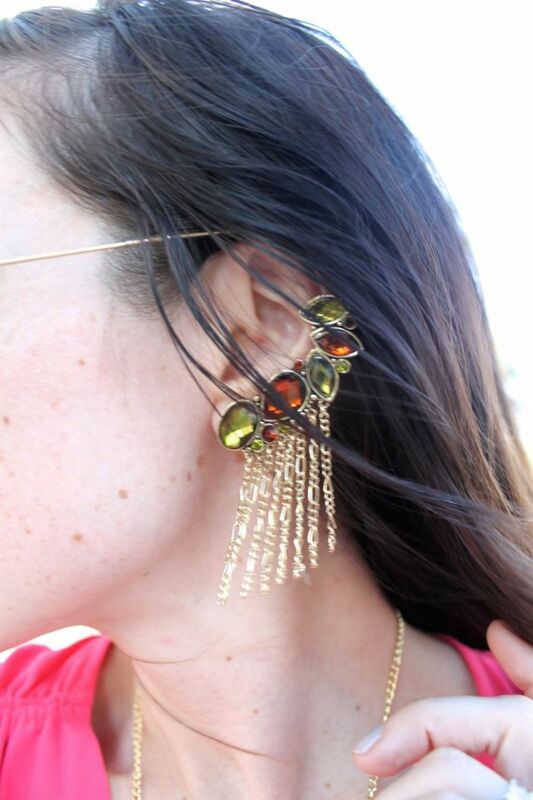 Ever wear more then one statement jewelry piece at a time? 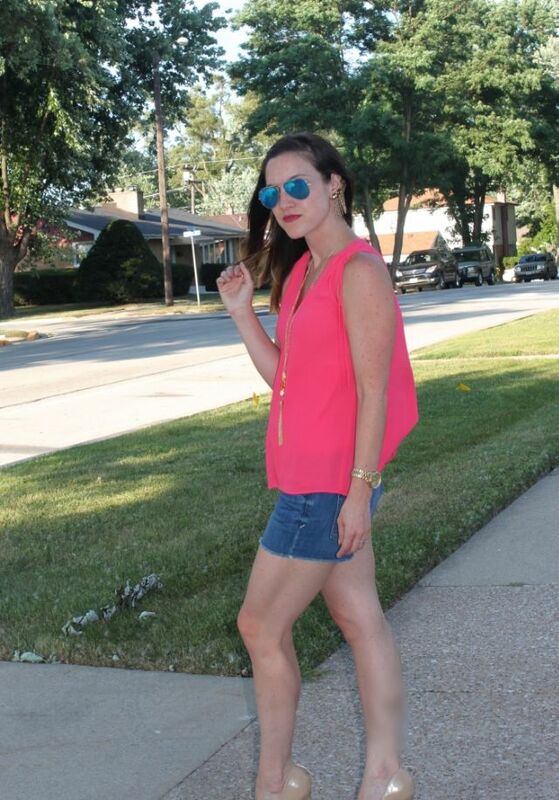 Check back tomorrow for my wedding day look and then Friday for a House of Gemmes Giveaway (3 winners!) and coupon code to do some shopping!